For the better part of a year, Fortnite fans asked for a mini game where the ground was lava and all you could do was build. Now, in patch v8.20, Epic has finally given fans what in the form of a limited-time mode. The floor is Lava mode centers around the island's new volcano, which has started overflow onto the map. Like any other Fortnite match, you land, grab some loot – drops favor mobility tools like launch pads and glider redeploy – and fight you fellow players. Then the lava starts to rise. As the lower areas get consumed, the game turns into a chaotic scramble to reach high ground. In the matches I played, players raced each other up the side of mountains, used port-a-rifts to get ahead, and even threw impulse branches in desperate hope of throwing their opponent into the lava below. Players with more foresight set at the top of the mountains, or in custom-built towers. From these vantage points, savvy players fired down to destroy other people's ramps. It's an absolute mess, and a joy to play. 1; thats a good thing, because many sources get covered early in the game. This way, players can focus on building throughout the mode. When the lava covers the map's mountains (or the volcano itself), players have to start building on the surface of the lava to survive. This is where the mode gets ridiculous. Every player who's left tries to stay alive, in small, precarious buildings that keep them safe from enemies and the rising lava. At this point, it doesn't matter if your bullets hit your opponents themselves or their builds – the goal is to dunk people into the lava one way or another. Shooting floors are just as effective as shooting people. Fortnite's limited time modes have always been places for epic to experiment with new mechanics that push players to think about Fortnite differently. The Floor is Lava is no different. 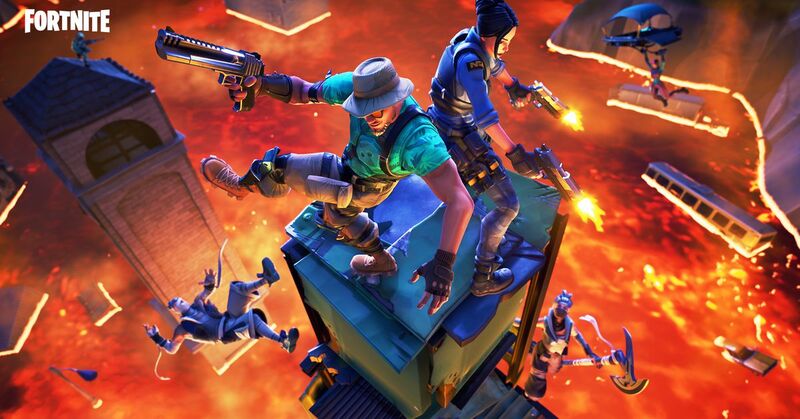 Better yet, the floor is Lava reframes Fortnite while remaining silly – which is exactly what Fortnite is about.